Malicious software that infects your computer and displays messages demanding a fee to be paid in order for your system to work again. Ransomware software has the ability to lock a computer screen, or encrypt computer files. Using online advertising to spread malware. Malvertising (short form for malicious advertising), requires placing ads filled with malware, on legitimate website pages and through authentic online advertising networks in order to infect a web browser and device. (PC, or mobile device). Web publishers unknowingly allow what appears to be a legitimate ad to be placed on one of their webpages. In reality, the ad contains malware. Once someone clicks on the ad, their computer becomes infected with malware. Sometimes the ads come in “alert” form, such as a warning that there is a malware infection, in order to use scare tactics via social engineering, to get the user to act quickly. Note: Users will NEVER receive a legitimate warning about malware infections via an ad through their browser. Alerts like those only come from a comprehensive Internet security program. Another way the malvertising infects a computer is simply by the user loading the infected page, which is also known as a drive-by-download. Drive by downloads can be installed on your computer simply by looking at a spam email, browsing a compromised website, or via a malicious pop-up window. The ad is full of links that make browsers acquire software from harmful websites and pages via known security holes in unpatched web browsers (NOTE: This is one reason it’s so important to keep your patches up-to-date!). A download that occurs when a user visits a malicious website that is hosting an exploit kit. There is no action required on the user’s part, other than simply visiting the infected webpage. The exploit kit looks for a vulnerability in the browser software, and uses it to inject malware via the security hole. A Microsoft Windows Server feature that takes snapshots of volumes that can be used for restoring logical unit number and individual files or for data mining. The snapshots can be taken manually or automatically. …this is THE MOST IMPORTANT TERM YOU SHOULD KNOW. I know, I know. I yelled. I’m sorry. However, I cannot stress enough how important backups are. Whether you simply have 1 computer at home, or several computers on your network at work. I’m guessing there is at least 5 things you can think of right now on your computer (or network) that you would be devastated to lose. Hard drives are made to run for years without crashing & burning. However, just like all electronics, they have their issues. 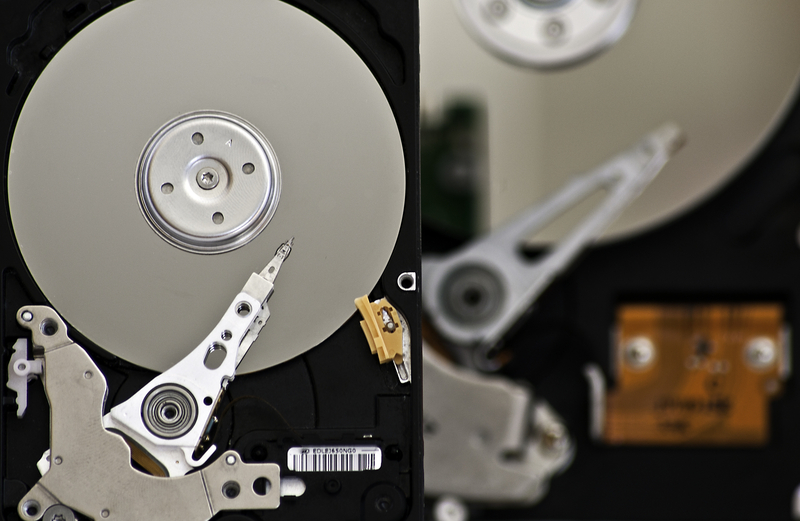 Hard drives rely on moving parts to access data. Moving parts can malfunction, and cause your data to become unrecoverable. If you need proof of how fragile hard drives really are, take a look below. If a picture isn’t enough to convince you, call us at 1-204-800-3166, or go to your local computer store, and ask someone to show you an open hard drive. When you realize that all of your data is stored in such a small, delicate devices, you may have a new appreciation for backing up your important data. Hardware malfunctions aren’t the only plague to hard drives. Software corruption (damaged structures, viruses, improper program installation) can cause file damage, files to disappear into thin air, or simply render them useless. Human error, the most common plague to hard drives, can cause irreplaceable files to be deleted. That is why backing up your data is so important. Unfortunately, most people don’t realize the importance of backups…until it’s too late. When you have lost years of photos, school papers, business documents, email archives, music, movies, or any other data that suddenly becomes unrecoverable, the importance of backups becomes all too real. Not sure if your information is safe? Ask us for a FREE Backup Assessment! A computer in a network that provides email facilities. It stores incoming email for distribution to users (message store), and forwards outgoing email through the appropriate channel (message transfer agent). The term may refer to just the software used to perform this function, which can reside in a machine with other applications, or to a stand-alone computer (server) dedicated only to the email function. A computer that provides data to other computers. It may serve data over a local area network (LAN) or a wide area network (WAN) over the Internet. There are different types of servers, including Web servers, mail servers, and file servers. Each server runs software specific to the purpose of the server. The hardware used for a server is not as important, as long as the hardware is sufficient to support the demands of the server. Any desktop computer could be turned into a server by adding the appropriate software. However, most large businesses use rack-mountable hardware designed specifically for a server. Multiple rack-mountable servers can be placed in a single rack, and often share monitors and input devices. Most servers are accessed remotely using remote access software, making input devices unnecessary. A server that acts as a central file storage location, which can be accessed by multiple systems. Commonly found in company settings, such as company networks, but also used for organizations such as schools, and even home networks. A file server may be a dedicated storage system, such as a network attached storage (NAS) device, or a computer that hosts shared files. Dedicated file servers are typically used for business applications, as they provide faster data access and offer more storage capacity than non-dedicated systems. A typical computer stores data using internal and external hard drives. If the computer is connected to a network, it can share data on its connected hard drives with other systems on the network. While this allows for multiple user file access, it requires that each computer share its files individually. If a computer is turned off or is disconnected from the network, its files will not be available to the other systems. NAS drives allow computers to store and access data using a centralized storage location. Instead of each computer sharing its own files, the shared data is stored on a single NAS device. This provides a more reliable, and faster, way of sharing files on a network. NAS devices are often used in business networks, but are gaining popularity in home networks as well. When 2 or more computers are connected to one another. A network is used to allow sharing of files and information between multiple systems.